A gas turbine-powered Bentley in the late 1940s? Could have happened! 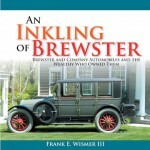 The background to this book is the swap of Rover’s jet engine work for Rolls-Royce’s Meteor tank engine program in 1943. The Rover car company had gotten a head start in the development of gas turbines when Frank Whittle was in the early development stages of his revolutionary jet engine. 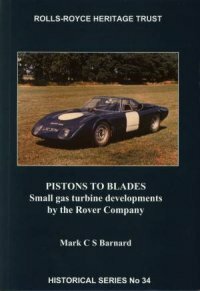 Even though the swap with Rolls-Royce meant, in practical terms, the end of Rover’s interests in areo work, the company continued to explore applications for small, efficient gas turbines. 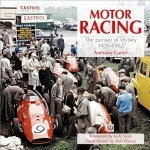 The author was in that Rover team of people and here records subsequent developments up into the 1960s. Immediately after World War Two Rover embarked upon small gas turbine development for automotive use, probably the first in the world to do so. By 1950 Rover had developed a 150 hp turbine that was used to power the pedestrian Rover P4 sedan that was highly modified as a two-seater. Pioneering new ground, all the problems that are now well known such as cost, poor throttle response, poor fuel economy and developing heat exchangers, were just some of the hurdles to be overcome. This excellent book offers fascinating insight as to how these problems were first discovered and then overcome. It could be argued that some of these issues were never satisfactorily fixed, not by Rover and not by anyone else. Despite spending several decades dinking around with gas turbines, the market place was not ready. One gets the impression from reading the book that Rover came agonizingly close to making a marketing success of their small turbine engines but then found themselves falling short due to a number of factors including cost, fuel consumption, or reliability. Every imaginable application was tried including cars, racecars, boats, trucks, fire pumps, trains, small aircraft, and Auxiliary Power Units for Vulcan bombers. Some of the foregoing offered a modicum of commercial success but the majority of proposals never went beyond the prototype stage. I found it fascinating to read that the fire pump application was hand-cranked, surely a first for a gas turbine! 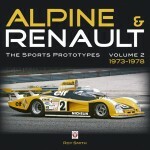 Two of the seven Appendices are devoted to other companies that delved into automotive gas turbines such as Chrysler’s turbine car and Fiat’s Turbina. Numerous photographs and cutaway line drawings are used to illustrate the topic. 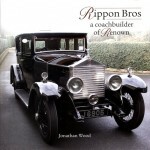 This book is number 34 in the Rolls-Royce Heritage Trust’s Historical Series and was inspired by no. 22, Vikings at Waterloo which dealt with Whittle and Rover’s jet engine work. As all their books, it represents fabulous value for money. And it’s a great read! 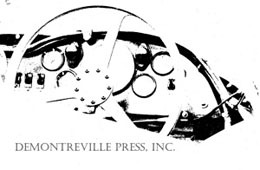 Reviewer White is a published author in the field of aero engine history and collects and restores piston engines. They vie for his ministrations next to a concurs-condition 1935 Rolls-Royce Phantom II. Worked at Solihull on the Gas Turbine Project as a fitter. Great teamwork and people. As Mark said in his forward we all worked long hours with evening and weekend working to make the project a success the norm.